Since 2012, Jaclyn Schiessl has worked in association with AMTC in a variety of capacities. She has served as the Administrative Coordinator of Programs, providing program implementation and development assistance for of a number of federally funded family strengthening projects. Schiessl also served as an Evaluation Systems Researcher; in this capacity she provided direction and support in developing performance measurement, program fidelity, and evaluation systems for government funded programs. Jaclyn has also worked on development of programs in the areas of teen pregnancy and healthy marriage and relationship education, responsible fatherhood, adult mentoring, offender reentry, and workforce development. 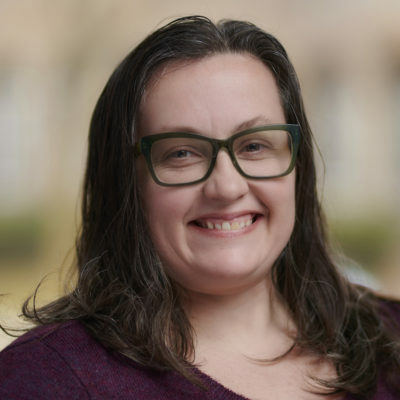 In her current role as the Project Director of the Title V – Illinois School Board of Education Abstinence Education Grant, Jaclyn is responsible to provide direction and oversight of project implementation, project development, and fiscal management. Additionally, this position collaborates with the performance measurement team to oversee evaluation systems related to project performance measurement and data fidelity systems (Online Participant Tracking System—OPTS), surveys, data integrity, training, and reporting). Jaclyn has experience as a Contract Compliance Auditor with the Milwaukee County Behavioral Health Division (MC BHD), auditing the extensive MC BHD Contract Partner Network to observe, require, and maintain compliance within both State and MC BHD indicators. She has also worked for Easter Seals of Southeast Wisconsin as the Grant and Outcome Measurement Coordinator, and the Innocence Project New Orleans as the Program Manager where she developed and oversaw implementation of funding sources throughout the organizations. Jaclyn earned a Bachelor of Art Degree in Communication from the University of Wisconsin-Stevens Point.